If you haven't been here, it's delicious! Love the atmosphere and the food was amazing! I can't wait until my next visit! Well done! 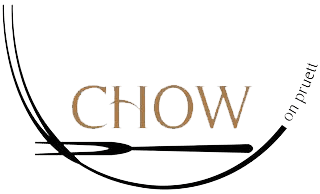 We love Chow! Amazing food, amazing experience! Highly recommend going! You won't regret it! We ate there last night for the first time and it was AMAZING. The food was absolutely delicious, the staff was friendly, the service was remarkable. We will definitely be back!